Duplicate contacts keep on accumulating in different form on your device. You might have included two different information for same contact or you have synced your contact’s list with some other account, which eventually piles up duplicate contacts. This whole process will end up messing your contact’s list and affecting your device performance. You can clean all this clutter following manual process or you can use some duplicate contacts remover app for instant and accurate result. Let’s discuss ways to automatically merge contacts on iPhone 6 & 7. 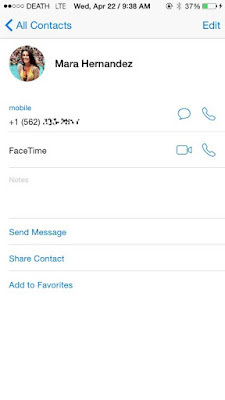 Manually merge contacts on your iPhone: Apple offers a second way of merging contacts natively on iPhone. You can use this feature to merge two different information related to same person. To do this, follow these steps. • Open the Contacts app on your device. • Select the contact that you want to merge with main contact. • Tap on Edit in the upper-right corner. • Scroll down to find “Link Contacts” option and click on it. • Now select the contact that you want to merge with it. • Tap on the Link option in the top right corner of the screen to merge the contact. This simple process will merge the same contact with different information. Inside the main contact of your device, the two contacts will display underneath the Linked Contacts section. To remove duplicate contacts in iPhone, you can also consider using different duplicate contact remover apps to de-duplicate your contact’s list. These tools work on advanced algorithms to merge and delete duplicate contacts effectively. How to merge contacts in iOS 6: Apple has launched iOS 6 featured with tighter integration with Facebook. Seemingly, this feature has littered user’s contact list with all unnecessary contacts from Facebook. You can simply turn this feature off by accessing Facebook in Settings and toggle off Contacts sync. But if you have allowed Facebook to access your contacts list then you can merge your contacts with different information. To do this, follow these steps. • Open your Phone or Contacts app and select the identical contacts you would like to merge or link. Select and tap on one of the duplicate contacts and then click on the Edit button in the top-right corner. • From the Edit screen, scroll down to the bottom of the screen to find “Linked Contacts” option. Click on it and select the other identical information you would like to merge. • Here, it will display a second duplicate you have chosen to link. 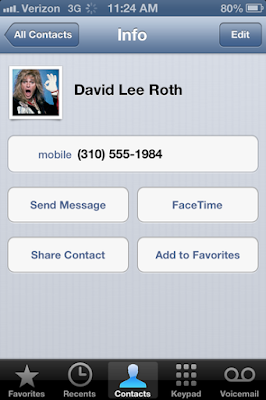 Tap on the Link button in the top-right corner to link the two contacts. • Here, you will find the different information of same contact, click on Done button in the top-right corner to complete transaction. 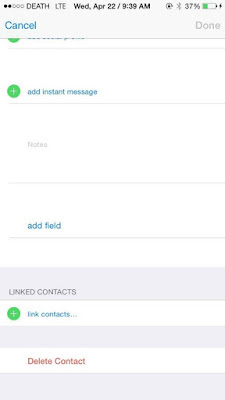 How to merge contacts in iOS 7 using the Linked Contacts feature: The “Linked Contacts” feature in iOS 6 was quite inconvenient and depended on Facebook’s integration. 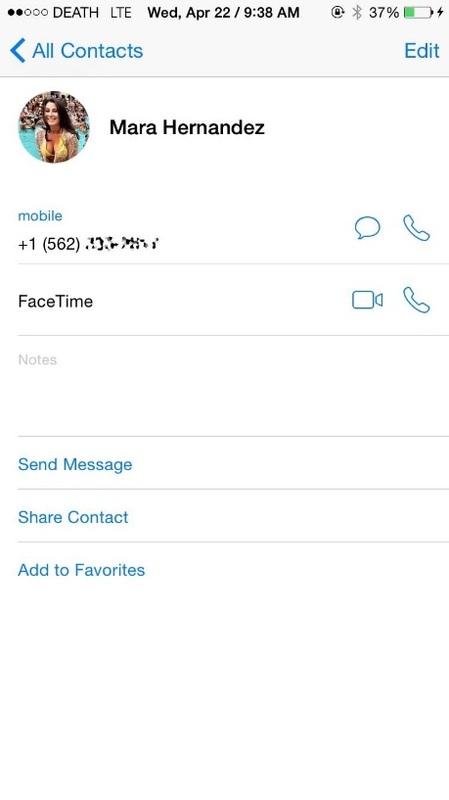 Apple has changed this with iOS 7 version where merging contacts become easy and convenient. 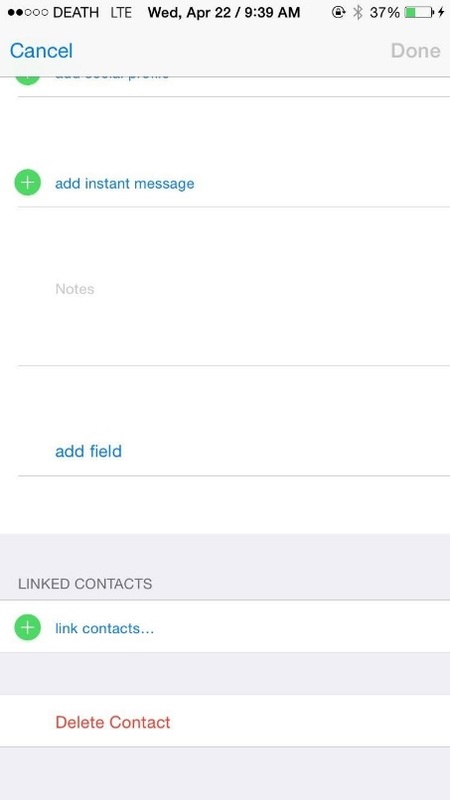 Further, Apple has assured that the “Linked Contacts” feature remains default editable option for all contacts on your iPhone/iPod/iPad touch. You can use this feature to link or merge contacts for simpler and faster access to contact’s list. To do this, follow these steps. • Open your Contacts app and tap on the contact that you want to merge. • Click on Edit option from the upper-right corner of the screen. • Scroll down to find “Linked Contacts” option and click on it. • Now select the other contact that you want to merge with it. • Tap on Link option to merge it. • Once you have added the contacts, tap on Done to finish editing the contact. You can follow these simple and effective steps to merge your contacts in iPhone 6 & 7. Following these steps, you can streamline your contact’s list for faster and smoother access. It will also help you improve your device performance. 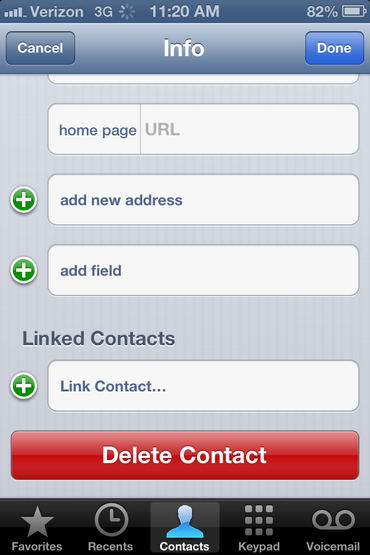 Summary: Merging or deleting contacts on iPhone can help you get clutter free contact’s list. To do this, you can use the built-in feature or use different apps. Let’s discuss ways to merge contacts in iPhone 6 & 7.